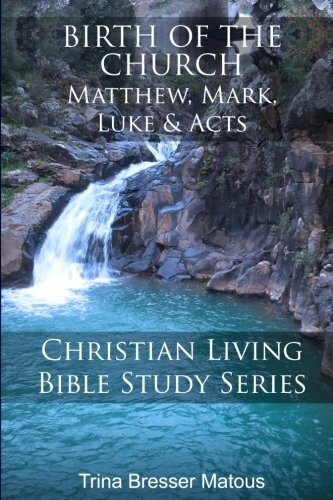 In this study, before each of the books of the Bible, the author gives some background information along with an overview. Following these couple of pages, the audience gets to read a short paragraph and then there are listed a couple of questions. These can be used for personal quiet time, journaling, small groups or even to begin a discussion. Bible study books like Trina’s are meant to spur us to further study of God’s Word and to be in daily communication with our Father. Trina has done an excellent job of researching and putting it in concise and easy language people can digest and meditate on. Studying the Bible should be a source of wisdom, knowledge and more. Here is a tool to aid seekers in doing just that plus growing in their relationship with Jesus. The only desire I have is to see more studies include bibliographies, so seekers can go deeper into any topic that God speaks to their heart. I would use a study like this, especially with those new to the faith so as not overwhelm them in learning to spend daily time with God. However, the well written study is for people who desire to ignite their walk with God!